Swings, slides, jungle gyms and monkey bars are all standard fare at an ordinary playground. 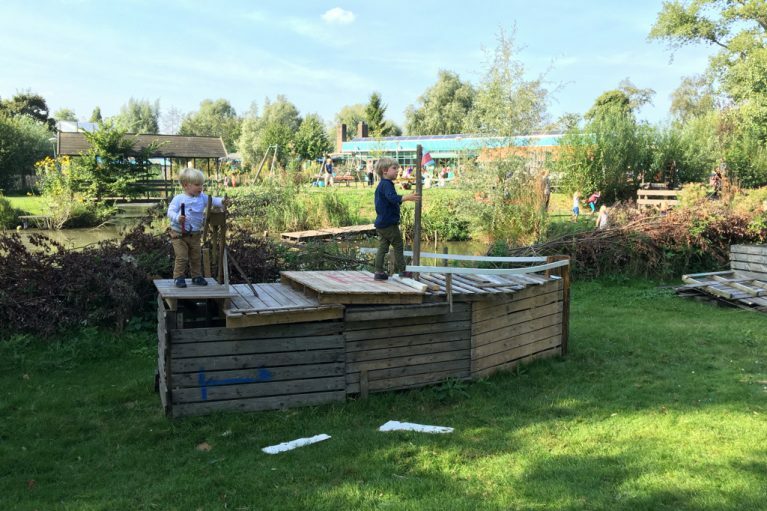 But an adventure playground is no ordinary playground. You might have had the experience of assembling intricate, brightly colored toy houses, jungle gyms or swing sets for your children, only to have them infinitely more interested in the boxes they came in. If you’re a parent, you might have had the experience of assembling intricate, brightly colored toy houses, jungle gyms or swing sets for your children, only to have them infinitely more interested in the boxes they came in. So went the thinking behind adventure playgrounds. 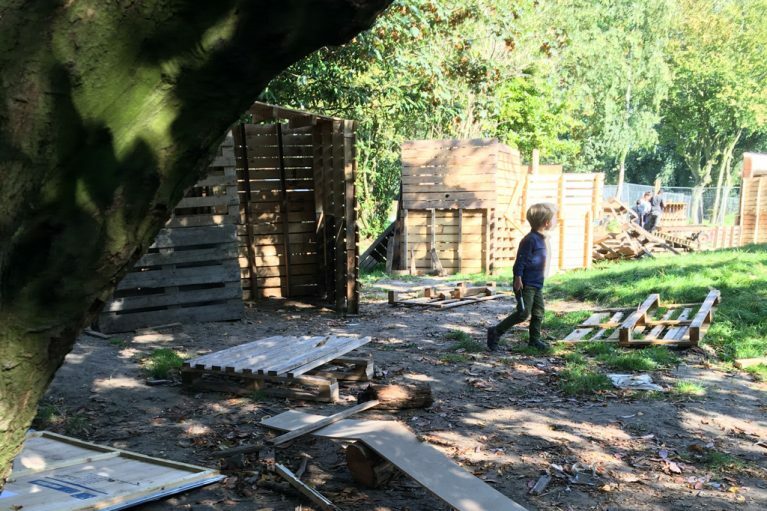 In the 1930s, a Danish landscape architect noticed that children weren’t interested in the fixed play structures he was creating, but were more intrigued by loose parts that they could assemble and assign meaning to on their own. 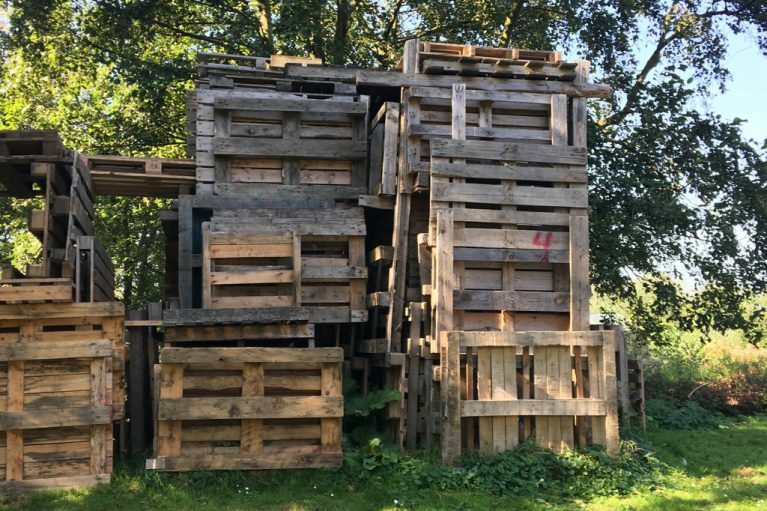 With that spirit in mind, the first “junk playground” opened in Denmark in the mid-1940s and the idea soon spread around the globe. 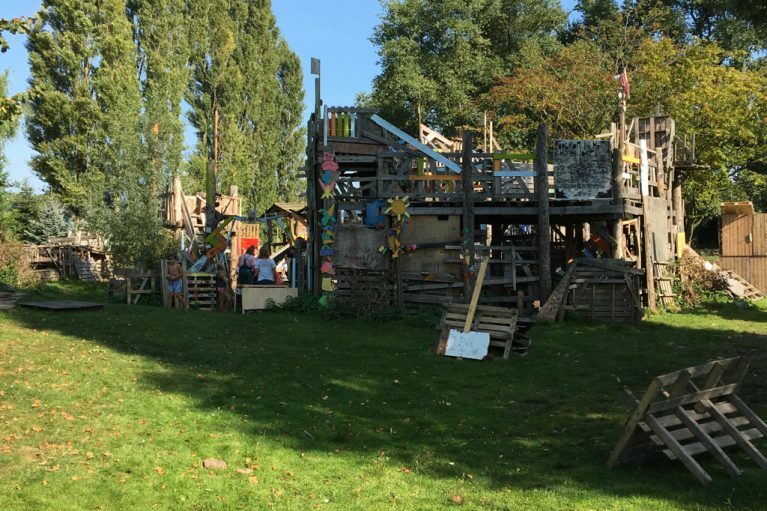 Today, from Woeste Westen in Amsterdam to the Huntington Beach adventure playground in California, to perhaps the most famous of all adventure playgrounds, The Land in Wales (there was even a documentary made about it), free-form playgrounds are making a comeback. Play:groundNYC, a nonprofit based in New York City, started in late 2014 after its co-founders were brought together by a shared frustration in the city’s restrictions on public play spaces. 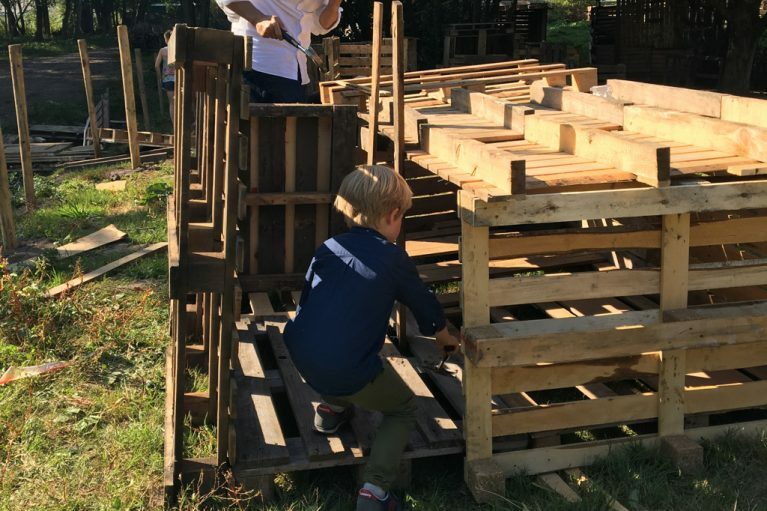 They turned to the Pop-Up Adventure Play model and successfully hosted one-day events in parks around Brooklyn before bringing the concept to Governors Island, where they now operate a permanent adventure playground throughout the summer. Just 800 meters off the coast of lower Manhattan, Governors Island is an ideal urban location for an adventure playground. Easily accessible by ferry, the former military base offers plenty of space for children to explore. “Adventure playgrounds have a few basic requirements. They need land, a fence, bathroom access and secure storage for tools. An ideal location is easily accessible to young people living nearby. 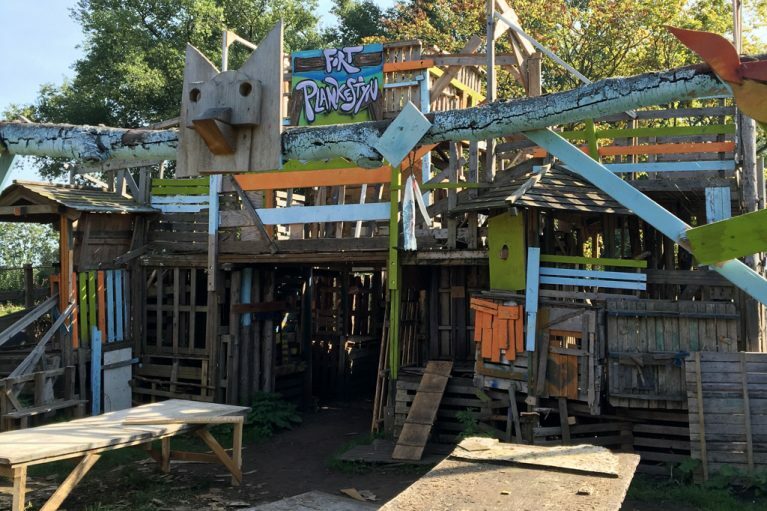 Because of the noise and mess generated in an adventure playground, it is vital that neighboring residents and businesses are involved in its planning from the beginning so that its peculiarities are fully embraced by all local stakeholders. Where possible, mature trees are wonderful to allow climbing and swinging,” Wilson says. Despite the obvious wave of interest, there is no doubt a mind-set hurdle to overcome when proposing children be allowed to build play structures with real tools, even with parental supervision. Morgan Leichter-Saxby and Andy Hinchcliffe of Pop-Up Adventure Play hope to help mitigate those fears by encouraging professional groups, community organizations and public institutions to create adventure playgrounds of their own. They even offer free resources to help communities get started. Adventure playgrounds have a few basic requirements. They need land, a fence, bathroom access and secure storage for tools. 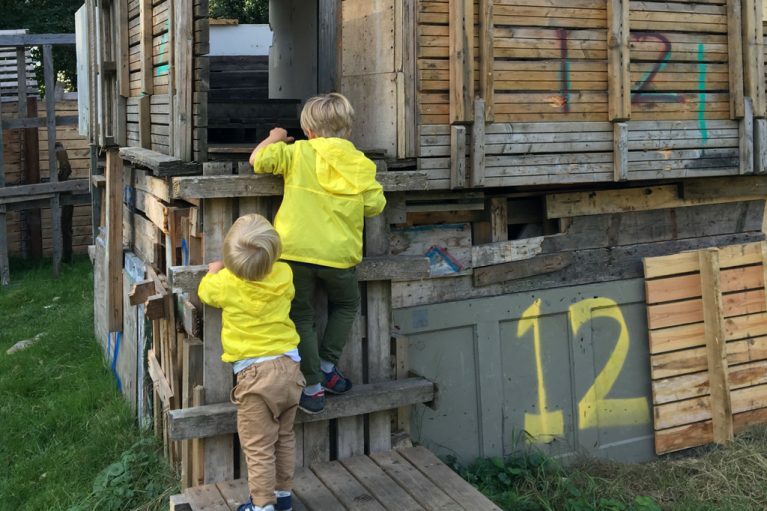 As for the future of adventure playgrounds, the Pop-Up Adventure Play team notes that while public perception might take some time to come around, there is a long legacy of best practices that makes these playgrounds significantly safer than they seem at first glance. And because of that, they’re hopeful. “Through experiencing risk in childhood, children begin to learn about their competence and limitations; they start to realize their potential and develop self-confidence in the ever-changing world around them,” says Hinchcliffe. 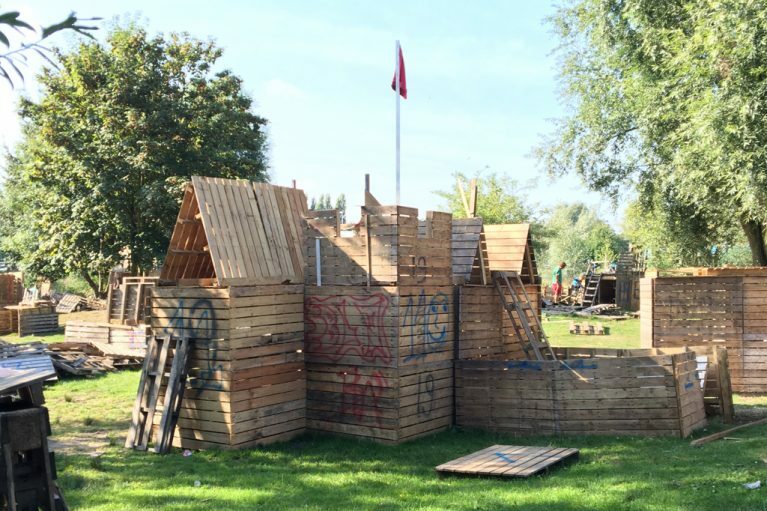 Jeugdland is an adventure playground located about 15 minutes by bike from Amsterdam's city center. Children are given a hammer and a bag of nails, and sent to forage for palettes to build with. Alone or with the help of parents, the children build with the palettes. 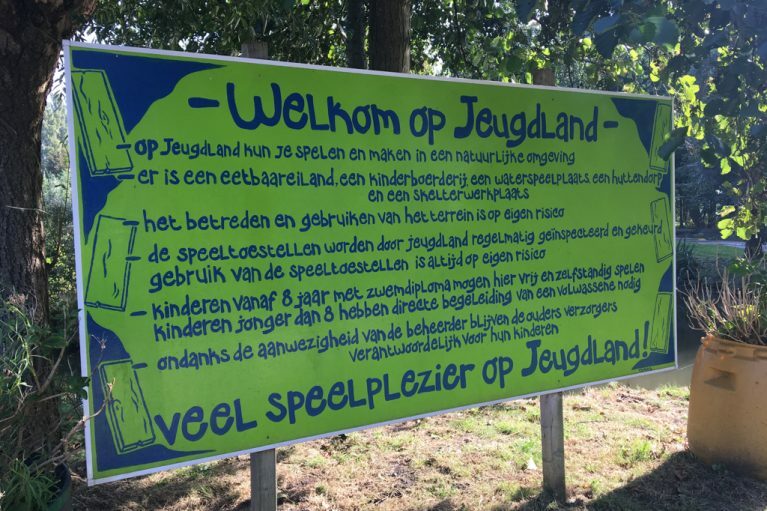 Jeugdland offers an opportunity for children to explore and dream, even if it means the occasional splinter.